Pizza Port Ocean Beach is doing a Pizza Port Keep the Glass night. They’ll have a tun of Pizza Port OB beers as well as a few favorites from the other PP locations. They’ll also have some treats from Lost Abbey as well including Red Poppy. More Pizza Port fun, Downtown Johnny Brown’s is doing a Pizza Port/Port Brewing Co. night with 17 different beers on draft. They’ll also have a cask of Mango Mongo DIPA. Live Wire might not be the first place you think of when you think craft beer, but some say they’re the original San Diego beer bar. They’re featuring a Firestone Walker showcase with four draft beers, including Firestone Walker 14th Anniversary as well as a cask of Union Jack IPA. 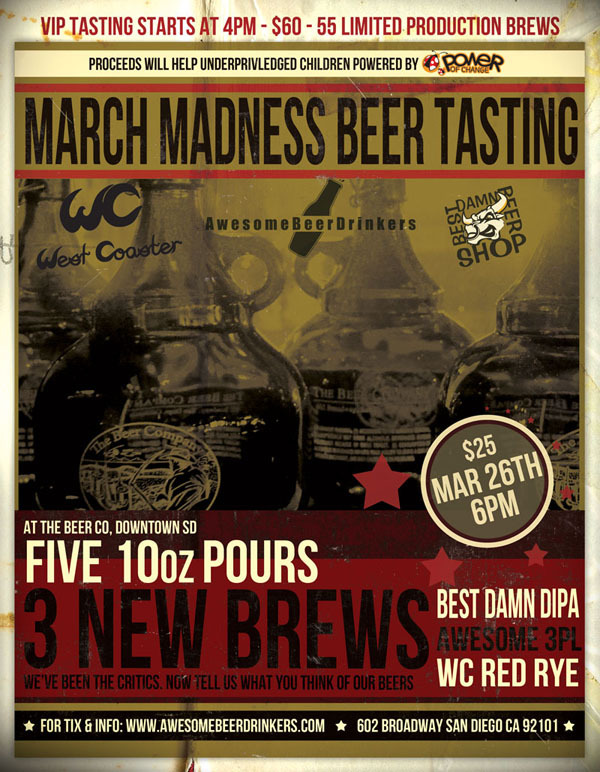 My friends over at West Coaster, Awesome Beer Drinkers and Best Damn Beer Shop have teamed up to host a charity beer tasting at The Beer Company downtown. They have an insane VIP bottle list lined up as well as a more standard regular session with a chance to try five beers from The Beer Company, including three never seen before. Jean Van Roy, owner and brewer at Cantillon, producer of some of the world’s most sought after sour beers will be at Stone Brewing World Bistro and Gardens Sunday afternoon. They’ll have Classic Gueuze on draft and six other Cantillon beers available in bottles. 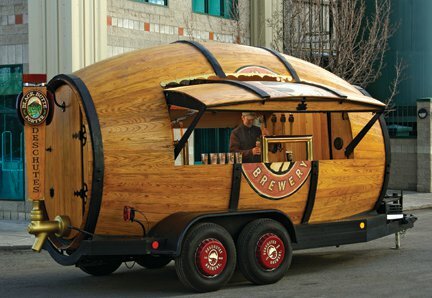 All Cantillon beers will only be available at the outside bar in 4oz pours only. The Handlery Hotel & Resort is hosting the Second Annual Mission Valley Craft Beer Festival, Suds for Surgeries to benefit Fresh Start Surgical Gifts. They’ll have unlimited tasters as well as food and live music, all for a good cause. Another European brewer will be in town, this time it’s Iacopo Lenci from Italy’s Bruton Brewery. He’ll be at Hamilton’s Tavern with five of his beers. There’s a lot going on for a Wednesday night, but BrewDog night at URGE Gastropub looks the most promising. They’ll have two different kegs of BrewDog’s Paradox Imperial Stout aged in different Scotch Whiskey barrels and have it on cask as well. They’ll have kegs of the 18.2% ABV Tokyo as well as the BrewDog/Stone Brewing Co. collaboration Bashah. They’ll even send you home with your own BrewDog glass. 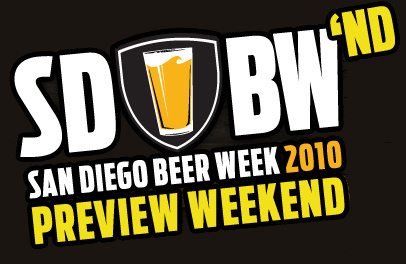 And San Diego Beer Week 2010 is here! I will (hopefully) be blogging everyday about the various beers I drink and SDBW events I attend. If you see me out and about say hi (my picture is on the About page). I wasn’t good about taking picture of beer last night, and felt like a total perv taking pictures of burlesque, so thats the only picture today, but there will be more going forward. The SDBW festivities were supposed to start at O’Brien’s Pub for Night of a Million Zillion Speedways, where they had nine different versions of Alesmith’s Speedway Stout on draft and cask. I got stuck at work a bit longer than I had expected and by the time I got to O’Brien’s there were at least 50 people in a line snaking around the building. I decided to pass and kept driving, but I heard things went smoothly and everyone got in after a short wait and all waiting got to try all of the different version of Speedway. One friend I talked to later said that her top three were Coconut Speedway, Vanilla Speedway and Kopi Luwak in that order. 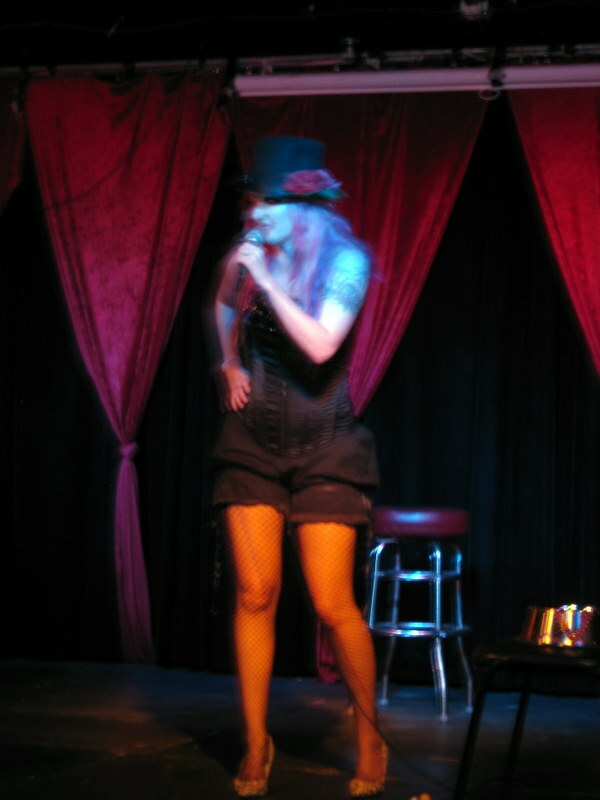 My night ended up starting at The Ruby Room for the Green Flash Brewing Co. Brews and Burlesque night. They had six Green Flash beers on tap: American ESB, Traditional Porter, Citra Session Ale, Fizzy Yellow Beer, Fire Roasted Pumpkin Ale, and West Coast IPA, the last of which was already gone by the time I got there around 9pm. I started with a Yellow Fizzy Beer, the only one I could imagine drinking right after I arrived at The Ruby Room by bicycle. It was crisp and refreshing, with a bit of hop bitterness and spiciness, this is what Budweiser should taste like. If I had a lawn to mow this would be my go to lawn mower beer were Green Flash to bottle it. I tried the Traditional Porter next, the first sip was full of intense chocolate flavors but it seemed to die down after that first sip. I finished the night off with another Green Flash beer, Silva Stout. I wanted to try it on draft to see how it differed from the bottled version but the comparison was difficult since I didn’t have both in front of me at the same time. I think I actually prefer the bottled version of Silva Stout over the draft, but either way their both amazing beers.